Kombucha may not save the world but it’s low in sugar, full of good bacteria and tastes great. A new addiction has been swallowing close to $75 of my monthly paycheque—and I’m totally okay with it. “What’s your poison?” you might ask. Beer, vodka or plain old-fashioned red wine? It’s none of the above, possibly beneficial for my liver and a lot more too. I’m talking about an effervescent delight known as kombucha, one of the latest beverages embraced by the health-conscious population and people who just enjoy a refreshing drink. It’s beauty in liquid form and its popularity, like its live bacterial cultures, is only growing. The kombucha industry is projected to take in $1.8 billion per year by 2020. This fermented tea tonic has been around for thousands of years in Asia, but here in North America it is only beginning to catch on in the mainstream. However, it hasn’t been without struggle according to California native Hannah Crum, founder of Kombucha Brewers International (KBI). She cites an incident involving Whole Foods in 2010. It was that love and determination to get those brands back on the shelves that inspired her to found KBI, a trade organization that advocates for kombucha companies, in 2014. Starting with 40 founding members, the group has grown to 136 members in two years. Their mission is to educate consumers and retailers about the benefits of kombucha through studies and research. Kombucha is said to be beneficial for a whole host of health concerns from arthritis and digestive problems to cancer. While it’s true the drink does contain antioxidants and B-vitamins, whether it’s actually doing much good for our bodies is still unproven. As for everyday benefits, increased energy, improved digestion and an overall feel-good sensation is the most common feedback Crum hears. “You don’t have to pay celebrities millions of dollars to endorse kombucha because people have a genuine physiological reaction after consuming it,” she says. 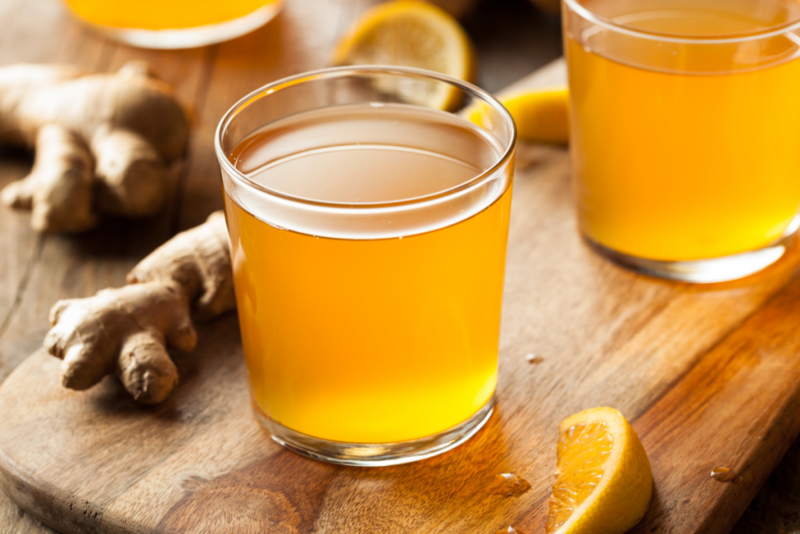 Whether kombucha is a medicinal cure-all remains to be seen, but it definitely is a healthy option when it comes to drinking a flavour-filled beverage. At about two grams of sugar and 30 calories per serving for a fizzy and tasty pick-me-up, it can take the place of soda any day. As for the future of the drink, Crum is confident that kombucha will become a staple food. “It’s the 21st century yogurt,” she says. I’ll raise an ice-cold, ginger flavoured, probiotic drink to that. To good health, world peace, and more kombucha! This article originally appeared in the 904 issue of OptiMYz magazine.